Maths Week 2017 is now 6 months away its a good time to start thinking how you might get involved this year. What has Trump's Tax Policy got to do with STEM in Ireland? On RTE's Morning Ireland (27 Apr) American Chamber's Mark Redmond stated that with possible changes in US Taxation law there were possible threats to Ireland's economy and that we must focus on areas we can control. Ireland should aim therefore to become a global centre for excellence in STEM. This is what we have been doing for 12 years. We have a great advantage on this island - Maths Week is the biggest maths festival in the world and we now have a great network promoting maths throughout the year! 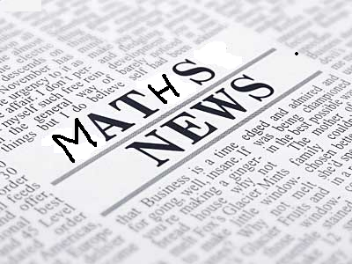 In the meantime we have news, coming events and interesting maths snippets for you. I hope you all of enjoyed a nice relaxing Easter break. However, not everyone was relaxing! In Belfast, students from eleven post-primaries were partaking in the most successful Easter workshop of its kind to date. Also across the Island of Ireland many students participated in various maths workshops and camps which proved to be very successful. However, now that Summer is swiftly approaching exams have become the focus in many people’s minds and with this thought to the fore, this month’s newsletter offers some exciting reads. It looks at the area of stress, identifying some useful techniques that might be helpful for educators and students in the busy weeks ahead. Furthermore, another key area it explores is an interesting case study of a secondary school in the South East of Ireland which is taking small steps to involve parents in the teaching of maths. (A topic which we will explore in the coming months.) We also came across an interesting article by John Sullivan on mathematical visualisation which has been central to mathematics since Pythagoras. Furthermore, we have many other news features and events along with our regular Douglas Buchanan feature – Beyond the Textbook. This can be a stressful time of year for educators and students and here we introduce a strategy that many might find helpful: mindfulness. According to many writers on this topic, Mindfulness is about seeing our thoughts as events. A good analogy of mindfulness is if you see it like clouds in the sky – and on observing these clouds we embrace them with a friendly curiosity as they drift by. So how can teachers get to this place that allows them to visualise these clouds. One simple way, is by taking a few minutes to complete this first task which might in turn instil the desire for more. In the mindfulness circles the acronym R.A.I.N has floated around to support people in dealing with difficult emotions. Jack Kornfield’s book Mindfulness-Based Stress Reduction Workbook looks at “RAIN”. “N” is to non-identify with what’s there. This non-identification is very useful in that it helps to deflate the story and cultivates wise understanding in the recognition that the emotion is just another passing mind state and not a definition of who you are. This is just like watching a movie, by non-identifying with your story and seeing it as impermanent, this will help assist in loosening your own tight grip of identification. Utilizing R.A.I. N. as a practice can help you bring space to be with things as they are and grow in deeper understanding of what drives, underlies or fuels our fears, anger, and sadness. Tuning into our emotions can feel a bit foreign. Perhaps it’s better to acknowledge stress, anxiety or pain rather than suppressing, repressing it. If you wish to read more on the topic of mindfulness see Erica Balfour’s list of Mindfulness Books by clicking here. Erica will feature in our May newsletter identifying her view on the whole area of mindfulness teaching and she will offer some interesting guidance for teachers in this area. In the meantime, if you have embraced any other mindfulness techniques which you think might be of interest we would love to hear from you at the following address Mathsweek@wit.ie. An interesting article by Lisa Salmon in the Irish News again looks at the area of stress during exam time and the benefits of peer to peer coaching. This approach is one which the UK Mind Set initiative uses and it aims to explore exam stress through 12 student coaches who've experienced their own personal difficulties during exam times. According to Lisa the young coaches in this initiative are from varied backgrounds throughout the country, and aren't all A* students. Some did resist, and others battled against illness or family difficulties during their exams. The fact that some of the student coaches have faced personal challenges during exams means they can reassure other students who may be going through similar challenges. Practical revision tips and structuring learning: Help with timetables, syllabus content, and how to split time between subjects and methods of learning. Tips on dealing with difficult emotions and worries: Support could include information about mindfulness, being aware of worries and problem solving, as well as being kind to yourself and talking to others for support at an early stage. Tips to encourage and maintain physical and mental well-being: Encouraging young people to take regular exercise, and stressing the importance of a healthy diet, regular and good quality sleep and socialising. Historically, mathematicians imagined their job was to discover new mathematics and then let others explain it. However, according to John Sullivan at the Technical University of Berlin today, digital tools like 3-D printing, animation and virtual reality are more affordable than ever, allowing mathematicians to investigate and illustrate their work at the same time. Instead of drawing a complicated surface on a chalkboard, we can now hand students a physical model to feel or invite them to fly over it in virtual reality. Last year, a workshop called "Illustrating Mathematics" at the Institute for Computational and Experimental Research in Mathematics (ICERM) brought together a group of mathematicians and digital art practitioners to celebrate what seems to be a golden age of mathematical visualization. Of course, visualization has been central to mathematics for many years, but this seems to be the first time it had a workshop of its own. Talks from wildly creative thinkers who apply mathematics in the world of design to examples of pure mathematical results discovered through computer experimentation and visualization were delivered. 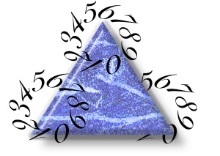 This shed light on how powerful visualization has become for studying and sharing mathematics. 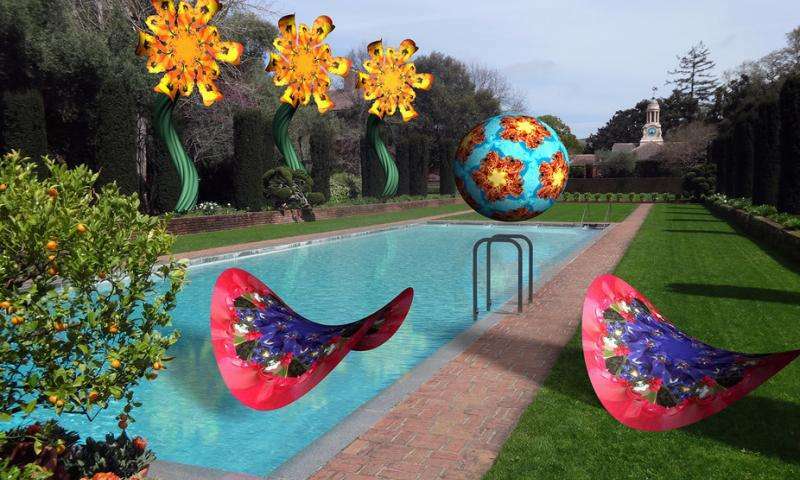 John Sullivan believes that visualization plays a growing role in mathematical research. He highlights that mathematical research is stimulated by collaboration between all three types of thinkers -"the philosopher," who thinks purely in abstract concepts; "the analyst," who thinks in formulas; and "the geometer," who thinks in pictures. This will run from 27-29 September 2017 (substitution provided). The purpose of this programme is two-fold. First, to understand the mechanism of Japanese Lesson Study and Structured Problem Solving. Second, to provide teachers with knowledge and skills to implement Lesson Study in their schools. To make this Professional Development Programme accessible training will be held regionally in Dublin, Limerick and Carrick-on-Shannon. More info here at Team Maths Website. The Maths Development Team are recruiting a number of associate positions soon and these will be advertised soon on their newsletter. An interesting article from the Irish News tells us about what was happening in Belfast over Easter. Here, young people from 11 post-primaries, who are considered borderline grade C candidates, attended the Easter School at St Mary's University College in west Belfast. This is the 18th annual workshop and it appears to have been the most successful one to date. More than 250 pupils took revision classes in maths. This revision strategy organised over Easter by the West Belfast Partnership Board (WBPB), St Mary's and schools, provides customised tutoring for those sitting exams this summer. Many of the students live in some of the most disadvantaged areas in the north. The Department of Education statistics show a gulf in exam performance between school pupils from different social backgrounds. Poorer pupils do only half as well as their richer classmates. WBPB has been involved in an array of education programmes designed to improve pupils' performance in the core subjects. The board identified maths education as one of the top priority areas to be addressed to improve the life chances of children and their families and develop sustainable social and economic neighborhood regeneration and renewal. According to the WBPB of those who took part last year, 86 per cent achieved grade C or above maths. It is believed that this year’s Easter event was the most successful to date. Dont be alarmed, but, according to an article on newscientist.com two researchers, Scott Aaronson and Adam Yedidia have come up with computer programs that will run forever as long as the deep mathematical assumptions they are testing are correct. If this new computer program (a simulated Turing machine) stops running one hundred and fifty years of mathematics will be proved wrong. It is a mathematical model of computation created by codebreaker Alan Turing. In 1936, he showed that the actions of any computer algorithm can be mimicked by a simple machine that reads and writes 0s and 1s on an infinitely long tape by working through a set of states, or instructions. The more complex the algorithm, the more states the machine requires. Now Scott Aaronson and Adam Yedidia of the Massachusetts Institute of Technology have created three Turing machines with behaviour that is entwined in deep questions of mathematics. This includes the proof of the 150-year-old Riemann hypothesis – thought to govern the patterns of prime numbers. Turing’s machines have long been used to probe questions. In the 1930s the mathematical world was shaken by philosophical revelations that shook the mathematical world in the 1930s. 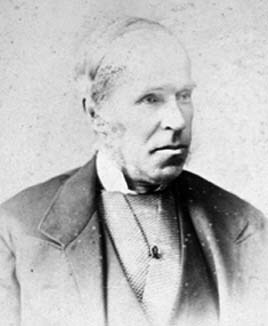 John Casey (1820-1891) was born 12 May in Coolattin, Limerick. He was self-educated until he graduated from TCD in middle age. He later opted to teach at the Catholic University of Ireland, rather than at TCD where he was offered a positon, and wrote 7 books on geometry. Astronomer Alice Everett (1865-1949) was born 15 May in Glasgow, and brought up in Belfast, where her father was professor of natural philosophy at Queen's College. She studied maths there, and at Girton College, Cambridge, but her BA and MA degrees were awarded by the Royal University of Ireland. She worked at the Royal Observatory in Greenwich, and later did research in optics and the engineering of early television. 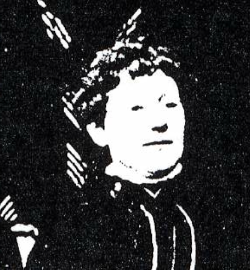 Cathleen Morawetz (nee Synge) was born 5 May in Toronto, and split her early years between there and Dublin, when her father John Lighton Synge was on the staff at TCD. She was educated at the University of Toronto, MIT and NYU. 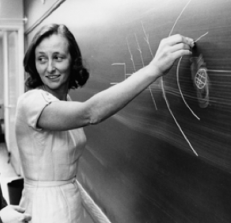 Her career was spent at the Courant Institute, researching nonlinear PDEs, and she served as President of the American Mathematical Society. Applied mathematician James Caldwell was born 16 May in Macosquin, Londonderry, and was educated at QUB and Teesside University. 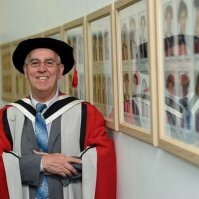 Most of his career was spent at the University of Southern Queensland (Toowoomba), Sunderland Polytechnic, and the City University of Hong Kong. He has written postgraduate level textbooks in mathematical modelling. Engineers will focus on Flooding and Renewable Energy. The Irish Math Olympiad (IrMO). This event will take place at a national level on Saturday 6 May 2017. The best six pupils at the IrMO will represent the country at the 57th International Math Olympiad which will take place in Rio de Janeiro (Brazil) between 12-23 July 2017. Irish Maths Olympiad is a national mathematics competition for secondary school students. It will be used for selection for the Irish international maths Olympiad team. While only 6 students will make the team all participating are exposed to deeper more challenging and more interesting mathematical problems than those encountered in school. A programme of training is run at NUIG, MU, UCC, UCD, UL. These classes are run free of charge by academics and are designed to develop a sound understanding of mathematics and improve problem-solving skills. There is little overlap with the maths taught in school. This event will take place at UCD School of Mathematics and Statistics Seminar Room, Ag. 1.01. Roozbeh Hazrat (Western Sydney University) will speak on Leavitt path algebras. 9 June : The fourth Irish conference on the History of Mathematics (IHoM4) will take place in Edward Worth Library, Dublin. The 6th annual Robert Boyle Summer School will take place in Lismore and will address the theme: "What is Science For?". Details will be postedhere early May for the programme of events. 4 - 6 August : Spraoi Festival Waterford. 21 Oct : Mathsfest – Rochestown Park Hotel, Cork. Hopefully you are all rested ready for the summer term where most of the creative maths is done due to the assessments out of the way. A sad fact! “Let's see who's dumb" said the provocative post that went viral recently. 60 + 60 x 0 + 1 = ? Those who said the answer is 1 are apparently dumb; smart people (it claimed) are supposed to say 61. For 60 + 60x0 + 1, BIDMAS says you should do the multiplication part before doing the additions, so according to this rule, the answer is 60 + 0 + 1 = 61. If you have a basic calculator, however, it will tell you the answer is 1, because it does the calculations in sequence, starting at the left. Is the basic calculator 'wrong' or 'dumb'? No, but it's probably not doing what the person who posed the question meant it to be doing. If anyone was 'dumb' it was the person who asked the question and expected everyone to come up with the same answer. I have a tumbler of water and a glass with wine in it. I pour from the tumbler enough water to double the contents of the wine glass. Then I pour from the wine glass enough of the mixture to double the contents of the tumbler. Finally, I pour from the tumbler into the wine glass until their contents are exactly equal. What are the relative proportions of wine and water in the tumbler. Are they equal or two parts of wine to one of water or what? Bob the sheepdog was getting the sheep in for Farmer Fred. He completed his task and went bounding over to the Farmer shouting “Farmer Fred, Farmer Fred…. I chased 40 sheep in to the yard for you”. When giving mathematical tasks to pupils outside the classroom they do not realise that their understanding of concepts improve and they become more confident in the subject because they are enjoying themselves. 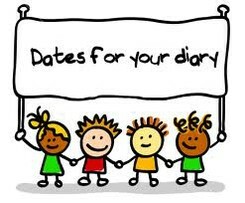 I have discovered a website Creative STAR Learning which gives you many activities for you to adapt or copy and it covers a wide spectrum of age groups starting at KS1. Introduce Pi to your Year 6s using paper plates (or other circular shapes) and drawing a large circle with a diameter. They can visualise that the circumference is just over three times the length of the diameter (Pi = 3.142). The activity could begin with a colouring competition for homework where the pupils have to illustrate a maths fact. Never spend money in creating a permanent maths trail – the pupils and you will get bored using it. Be creative and make your own. Useful links NRICH, Maths Eyes, NCTM. Maths card games encourage risk-taking. As well as detailed explanations of the above points there are resources and instructions of several card games. Other websites with card games rules: Activity Villageand Delia Creates. You cannot beat playing cards under the trees or picnic area in the summer sun! Three parts water to one of wine. What do you call people who like tractors? Do enjoy the summer term. Copyright © MathsWeek 2017 Calmast, All rights reserved.